2006 Natural Iowa And Central Midwest Championships - Review, Results & Pics! 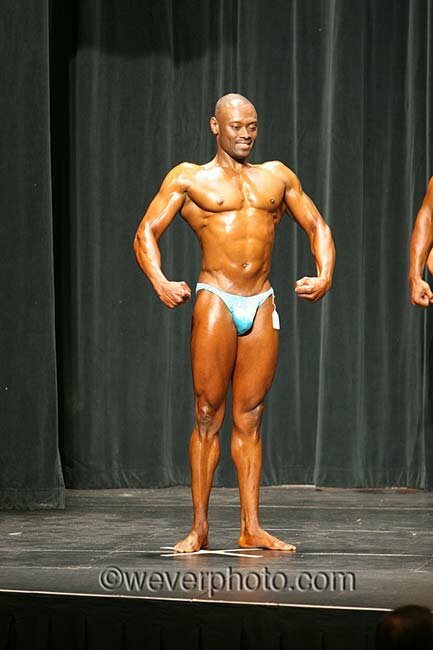 On Saturday, May 20th, 2006 drug-free bodybuilders and figure competitors took the stage in the Nutri-Sport Natural Iowa and Central Midwest Championships... Here are the latest results with commentary! See how everyone did. 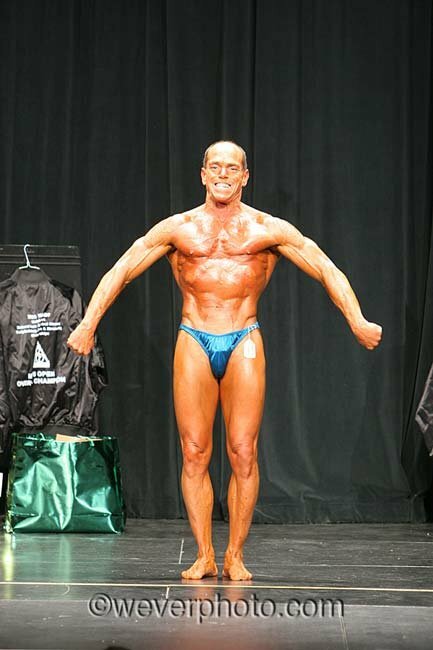 On Saturday, May 20th 2006 drug-free bodybuilders and figure competitors took the stage in the Nutri-Sport Natural Iowa and Central Midwest Championships, which was to be an unbelievable show! Not only were there over 100 entries but also a record-breaking number of spectators on hand to witness some of the finest natural athletes do battle for the coveted Mr./Ms. Iowa title and 3 WNBF pro cards! Action started hard and heavy with the Central Midwest Open women. There were three classes of women, with the short class kicking things off. In fourth place was Leeanna Carr, displaying some thick muscle and who went on to later be awarded with the best poser award as well! Third went to Margie Ciaccio who possessed some great mass. Wendy Redmond took second with some great abs and proportions in a very close race for the top spot. Leeanna Carr, Margie Ciaccio, Wendy Redmond. In the end, Coreen Sweeney from Clive, IA, was the last one standing with a great overall package, along with superb conditioning and presentation. The Central Midwest Medium class was another tough class. In fifth place was Shana Skillstad who has the size and just needs to refine it more to place higher. Fourth went to Beth Ziegmann who continues to improve each year. Anne Skvor took third with some excellent symmetry. Second went to Patti Reardon who possessed great stage presence and presentation. Shana Skillstad, Beth Ziegmann, Anne Skvor, Patti Reardon. Top honors went to Tami Sasek from Lenexa, KS, who had especially awesome abs and delts. Up next to top off the Central Midwest Women division was the tall class. Lenore Theobald was awarded third with nice definition, and with added size could do some serious damage! Laura Schwartz&apos;s size gave her the edge to gain second place, but it was Julie Deml from Elk River, MN who had it all; size, leanness and a pair of especially muscular legs. Lenore Theobald, Laura Schwartz, Julie Deml. In a tight battle for the overall and WNBF pro card, Coreen Sweeney edged out Tami Sasek and Julie Deml. Kicking things off for the Central Midwest Open men division was the short class. In third place was Tom Anderson, who displayed freaky definition and awesome vascularity. Second was awarded to a thickly muscled Cal Pike. The top spot went to Robert Wichman from Lees Summit, MO who had great lines and full muscle bellies. The medium class was an extremely tough class with seven top-notch competitors. 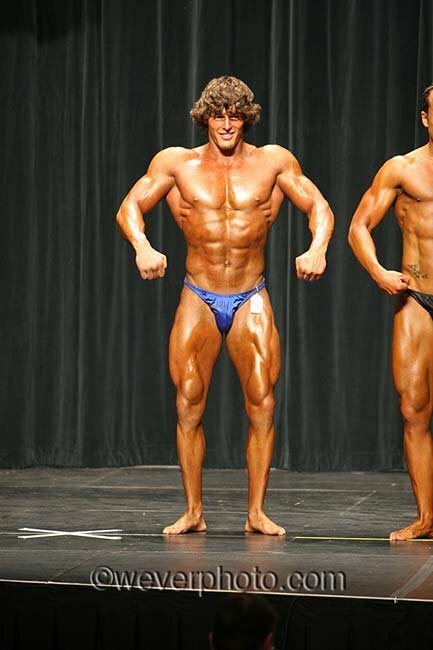 Earning fifth place was Scot Dickerson, who was not only shredded but also his inspiring posing earned him the best poser award too. 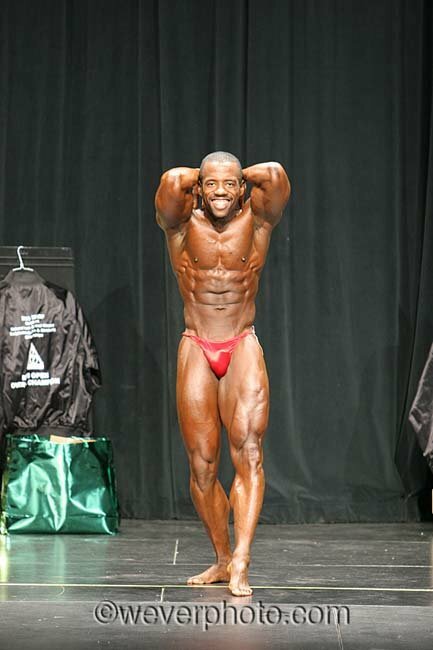 Fourth place went to Darryl Olive, who had some fierce quads. In third was Joshua Klith who was thick as a house, but just needs to sharpen up a bit to be unstoppable! Runner up was Tywan McGilbray with some great size too and the ability to showcase it as well. Scot Dickerson, Darryl Olive, Tywan McGilbray. Taking this tough class was Jessie Godderz from Rudd, IA. Jessie had freaky proportions plus he was ripped to the bone! Finishing out this division were the tall guys. There were six competitors in this extremely tough and close class. In fifth place was Tron Smith who had a great routine and size to boot. Fourth place went to Jeff Ryan who possesses some great symmetry and wowed the audience by doing the splits. Dana Hess was awarded third. Dana had awesome size and once he gets a little leaner and refines his posing he will be unstoppable. Getting the nod in the tall class was Justin Witte from Marshalltown, IA. While Justin didn&apos;t have the freaky size, he did have the perfect balance of mass, symmetry, definition and presentation to get the top spot. For the final pose down and WNBF pro card, Robert Wichman, Jessie Godderz and Justin Witte went head to toe against each other to determine the overall victor. The crowd went wild and once the dust settled, it was shredded and thickly muscled Jessie Godderz who took home the title and pro card. To say that you are Mr./Ms. Iowa definitely brings some bragging rights and many showed up to earn just that. The open Iowa short class had a full line up of six competitors. In fifth was Beth Ziegmann, 4th went to first time competitor Amy Kramer who had great definition, just needing some more size. Anne Skvor was back and took third. Runner up and the top spot again went to Wendy Redmond and Coreen Sweeney, respectively, in another tight race. The tall class only had two competitors, but they were both class acts. Clar Baldus had a graceful routine and showed great proportion. Clar also received the Karl Schneider memorial award for her dedication to natural bodybuilding. Getting the top spot was Lenore Theobald with a great combination of mass and cuts. For the overall Ms. Iowa title, it was again Coreen Sweeney who took the hardware and title home tonight. On to the race for the Mr. Iowa title. The short class was out first with eight men onstage shooting for a victory. Earning fifth place was David Sitrick who returned this year making some great improvements. Fourth went to C.J. Ong, Jr. who continues to have a balanced physique. Scot Dickerson returned to the stage and received third in this extremely tough class. David Sitrick, C.J. Ong, Jr.
Jose Figueroa earned the runner up spot here with some great mass and definition but it wasn&apos;t quite enough to edge out Jessie Godderz who simply looked freaky at prejudging. For the medium class, nine tough competitors came out for comparison. The fifth place spot went to Jamie Lewellen, who needed to harden up a bit to place higher. Fourth went to Trevor Hanel who shows great potential. The top three all looked awesome. In third was Mark Steffen with great size and balance. Second was awarded to TJ Klith who had just the right skin color and with some more quad sweep will be the one. Jamie Lewellen, Trevor Hanel, TJ Klith. Winning the class was Joshua Klith who came back onstage with a vengeance. In the tall class six guys were flexing it up. Coming in fifth was Chris Maiden with some good size just needing to improve symmetry. Fourth was Tron Smith coming back onstage. In third Jeff Ryan returned to the stage in this class. Second went again to a shredded Jason Kaimen and in a tight race, Justin Witte was awarded the top spot. During the overall comparisons, it was apparent that it was a tight race. It was also a rematch of Godderz and Klith who competed in the same class in the Central Midwest division in the morning, with Godderz getting the nod. However, it appeared that during the day Klith&apos;s condition improved and at the night show he looked phenomenal! Needless to say, Joshua Kilth took the overall and was named Mr. Iowa. This year&apos;s figure division saw a huge surge of competitors with over thirty coming to the stage! There were three classes, first of which was the short class. With ten competitors in the class, Masters figure competitor Rhonda Perry had a fantastic physique and it earned her 5th place in the open. Fourth went to a sultry Edie Cordova. In third was Shannon Baker who displayed a very lean physique. Rhonda Perry, Edie Cordova, Shannon Baker. Second was awarded to Tracey Seib who was a challenging competitor for the top spot, but Sirvan Ergili from Omaha, NE came out on top. She had the right balance of poise, muscle and definition to earn first place. Competition was just as fierce in the medium class with eight competitors taking to the stage. In fifth place, masters competitor Patti Reardon looked amazing! Fourth place went to a muscular Lenore Theobald. 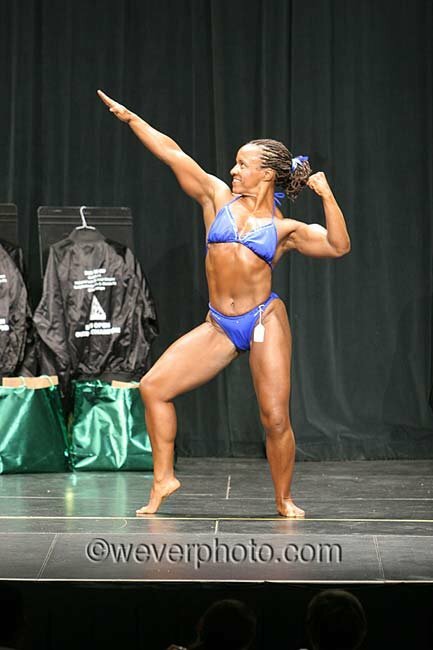 Taking third was another amazing masters figure competitor, Teresa Rhodes. Second was yet again a crossover from the masters with Tami Sasek proving drug-free athletes just get better with age. The top spot was earned by Sonya Richer from Johnston, IA, who displayed some amazingly defined abs. On to the tall class, which was filled with eight tough athletes. Taking fifth was Amy Campbell who displayed some good muscle. Fourth went to Megan Tapps who really dazzled during the T walk. In third was Jessica Foster displaying a great completion and presentation. Second was awarded to Melissa Mortenson who had beautiful stage presence. Amy Campbell, Megan Tapps, Jessica Foster, Melissa Mortenson. Taking this tough class was Melissa Steffen from Urbandale, IA. Melissa had hard legs and excellent stage presence. 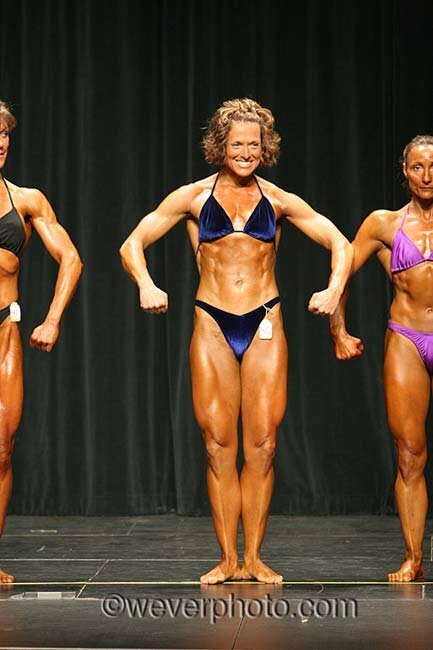 In the end when all three class winners, Sirvan Ergili, Sonya Richer and Melissa Steffen, were onstage together, the judges had the difficult task of choosing the overall winner and next WNBF pro. In the end, Sirvan Ergili had the overall package that got the title. The Central Midwest novice division looked anything but novice. In the women&apos;s short class, forth place went to Angela Trevino who had a great routine and good posing skills. Karen Walker was third with great definition, and with some more added mass will be tough. Amy Kramer returned to the stage to take second and first place went to Stacey Kramer from Reading, MN. Stacey had great muscle size to take this class. The novice women tall had graceful Clar Baldus returning to the stage to place third. In second was Rebecca Holste who had an impressive upper body and great stage presence. 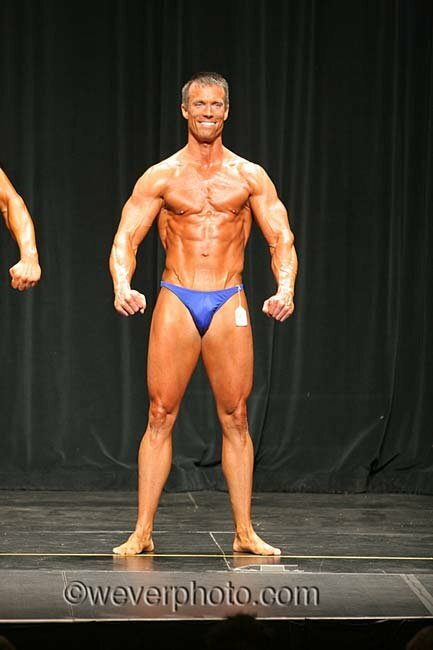 First was awarded to Jody Gorham from Oak Grove, Mo, who had a very lean physique. For the overall title, it was Stacey Kramer and Jody Gorham going head to toe. Clar Baldus, Rebecca Holste, Jody Gorham. In the end, Stacey&apos;s muscular display gave her the nod and overall title. In the final division of the night, the Central Midwest novice men took to the stage with four tough classes. In the short class, a much-improved David Sitrick came in third. 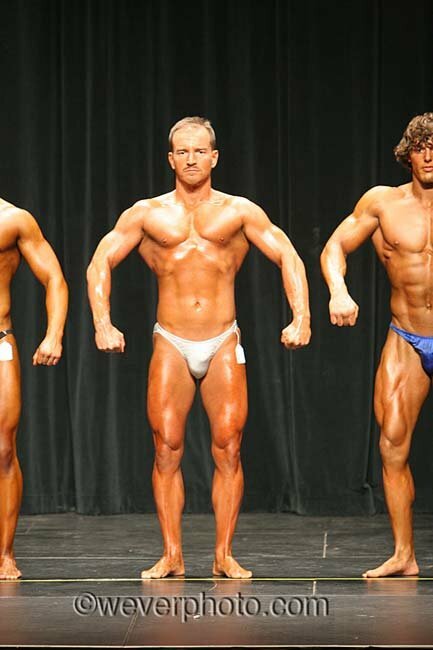 Second was Jeff Brown, who nailed the muscularity round and with improved symmetry will be tough. Jose Figueroa from Clear Lake, IA returned to earn first place in this class. The medium class had six impressive competitors. Earning fifth was Mark Hefley who had good size, but wasn&apos;t dark enough to really look as good as should have. Fourth place went Kent Kerney who possessed some great size. In third was Michael Kelley who had the mass, but just needs more definition. In a tight race for the top spot, Brian Carter was awarded second. Brian had a great physique and graceful posing. First place went to a tough Kenford Simon from Clear Lake, IA. 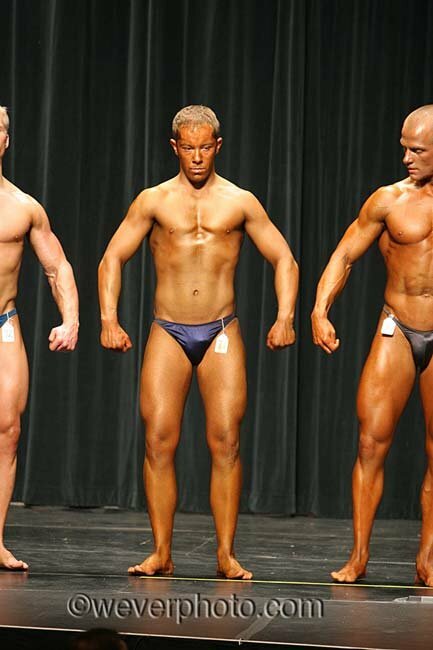 Medium-tall was full with seven bodybuilders filling up the stage. Gaining fifth was grandmasters competitor Rex Dwars. Rex is an ageless wonder and had the whole audience in tears with his "old man with a cane" routine! 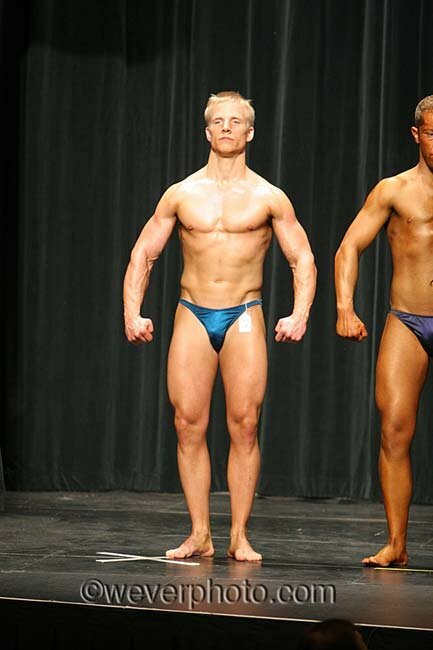 Fourth went to Brad Conkling who had some great definition. In third was Trevor Hanel returning to the stage. Second place was awarded to Mark Steffen who was nicely defined. Getting the top spot was TJ Klith from Cedar Rapids, IA. TJ was diced to the max! In the tall class, Taylor Saxena was in fifth. With good size, he just needs to lean out. Fourth place went to Kurt Matthewson, who had an entertaining routine. In third was John Kiesewetter who had an especially impressive back. In a close battle, David Fogle returned to the stage to get second while Chris Lynch from Urbandale, IA took first. Taylor Saxena, John Kiesewetter, David Fogle, Chris Lynch. Chris had some impressive arms and definition to take this class. For the overall, Jose Figueroa, Kenford Simon, TJ Klith and Chris Lynch took up the entire stage with their impressive physiques. Once the dust settled, it was TJ Klith from Cedar Rapids, IA who took the title. A big thank you to Bodybuilding.com and all the people that made this show a huge success! Plans are already being made for next year to be bigger and better!